I most certainly hope so. Tigers are not looking good at all. 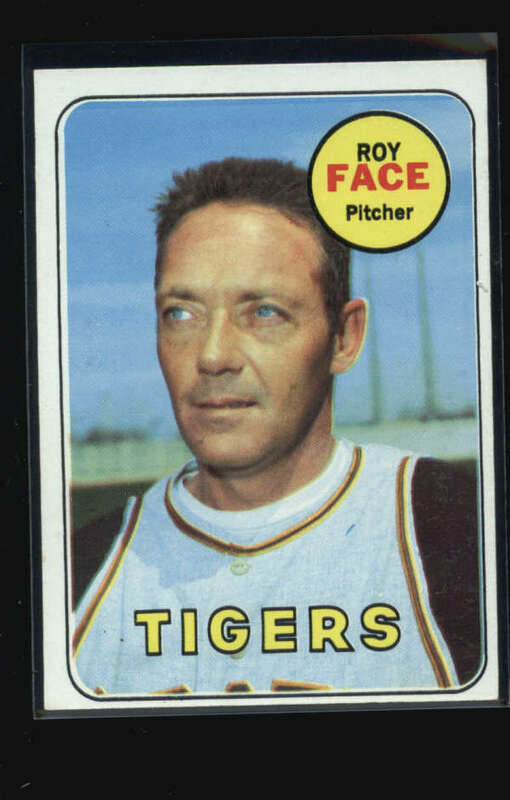 Roy Face is in the Tigers\Expos club. That is a new one for me. 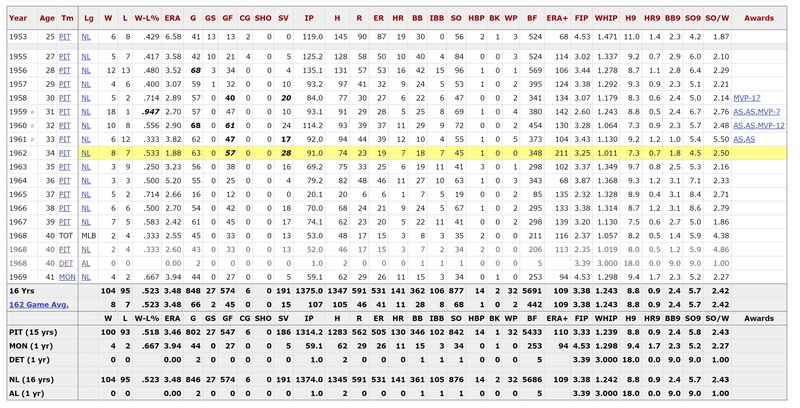 I was always fascinated by Face's 18-1 season as a reliever. Yes that is so unlikely. Elroy Face sounds a lot more like a ball player. 'Roy Face' sounds like a facial nerve disorder. The tigers are a bad baseball team this year. A 5'8" 155 lb pitcher. Sounds completely impossible. Just the way they drew it up...again. Gator was from Louisiana. Country strong. I'm calling it now, the losing streak is over. Goodrum and Casty back with the TrueAce™ Boyd on the mound? Unbeatable. the Tigers have the worst offense in the AL by 18 runs. They are slugging .312 and have a team ops of .596. The Mariners have hit 41 homers in 19 games. The Tigers have hit 7 in 15 games. So, we only need to hit 34 home runs over the next four games to catch them. The Dodgers hit more home runs in one game than the Tigers have hit all season. Fact: Babe Ruth once hit more home runs in a game barnstorming against the Shartlesville Sox in 1931 than the Tigers have hit this season. He was subsequently benched for a circus midget as a gag. The midget? Eddie Gaedel's father. Looks like nice weather if you’re a duck. Maybe this just means that there’s a possibility of rain when there aren’t any games going on. I hope so.